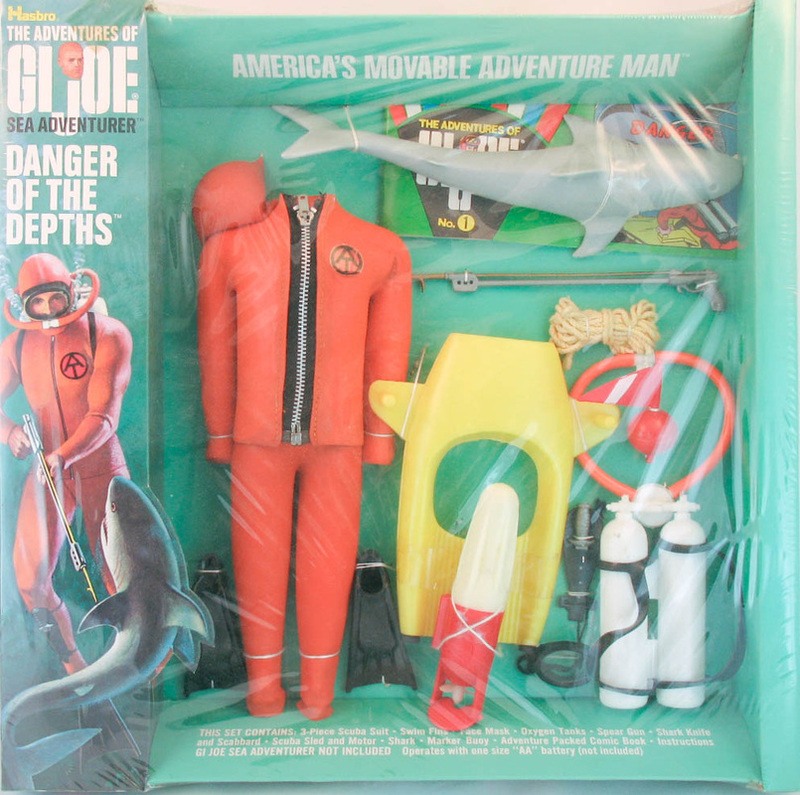 Danger of the Depths (7412) stayed in the Adventure team Collection through 1973. 1970 added a battery-operated motor to the yellow underwater sled that wasn't quite strong enough to pull Joe through the water without a little help. The motor was an upgrade from the 1969 version of the set and disappeared when the set was re-released in 1973 style packaging. Zippers on the wetsuit initially came in black as in the packaged set below, and later changed to orange or yellow as seen in the spin above. 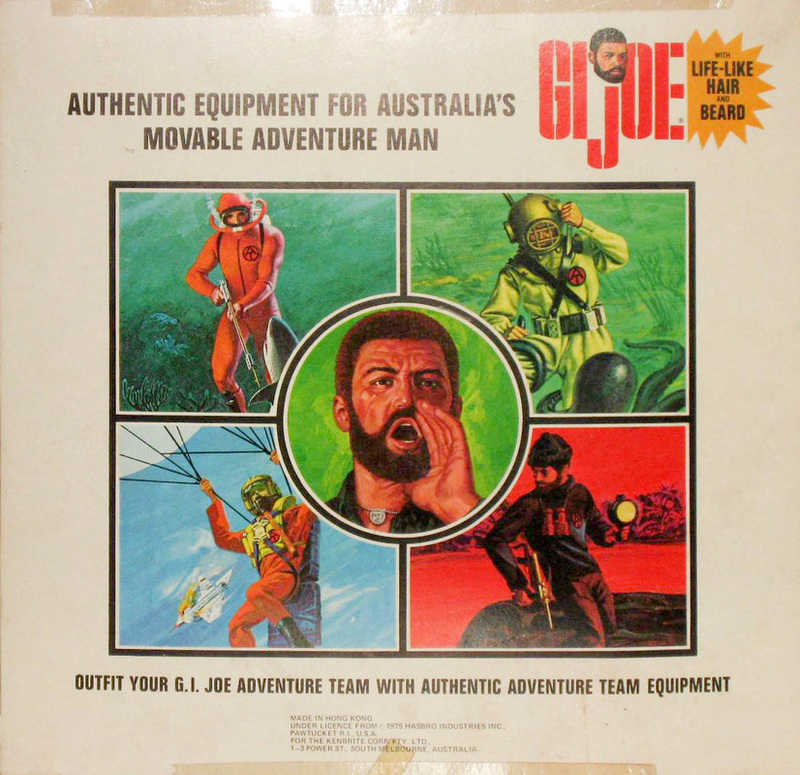 Equipment from this set could also be found in the super rare Sears Deluxe Adventure set. Above, varieties of the yellow underwater sled. Left to right, the 1969 version with no drain holes or motor lug, the 1970 motorized version, and the 1973-75 non motorized version with drain holes and black rubber plugs. 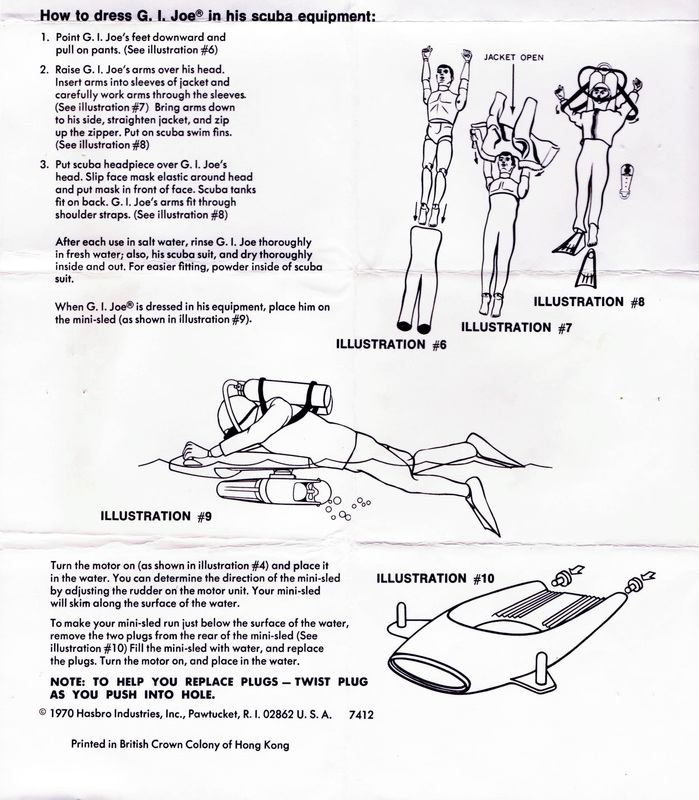 Below, the instructions. Below, the Australian release of the set from licensee Kenbrite, courtesy of John "Toyzilla" Marshall. The box is an interesting version in that it uses art from a number of different sets so as to be used flexibly for multiple sets in the line.